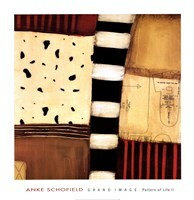 Anke Schofield was born in Ithaca, New York, and was apprenticed as a professional photography assistant when she was still in the eighth grade. Her father introduced her to photography early in life and Schofield took to the form readily and enthusiastically. 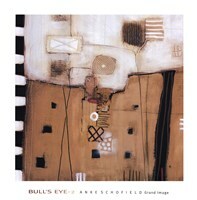 During high school Schofield apprenticed with a number of artists in the New York area and eventually won a scholarship to the Savannah College of Art and Design in Georgia, where she earned a bachelor's degree in fine art. Throughout this period she pursued her studies of color theory and painting, continuing to find in these endeavors greater creative stimulus and inspiration than she had known in her photographic work. "My work is inspired photographically," says Schofield, "but I take it beyond the ordinary representation to create a harmonious blend of texture with composition." 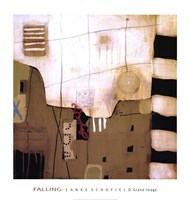 Schofield's work has been exhibited at a number of galleries including the Lansdell Galleries in Atlanta, Georgia, and the Spiller Vincenty Gallery in Jacksonville, Florida. Schofield now works as a painter in Atlanta.